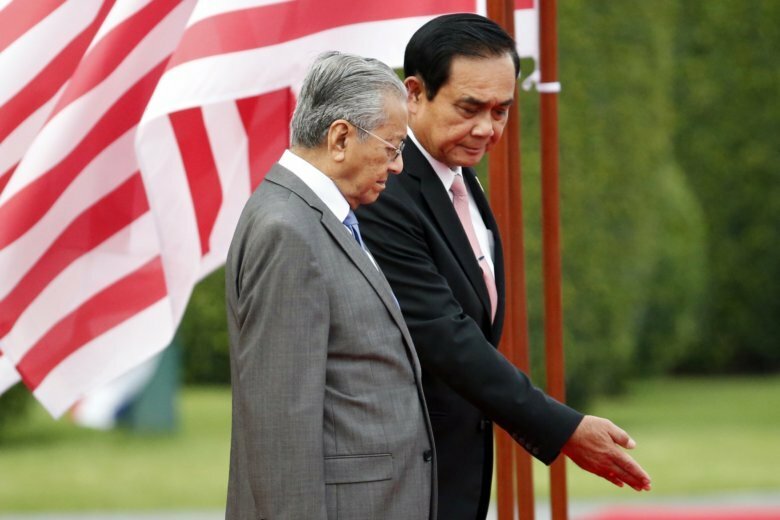 BANGKOK (AP) — Malaysian Prime Minister Mahathir Mohamad met Wednesday with Thailand’s leader and discussed peace talks in Thailand’s southern border provinces where a Muslim separatist insurgency has been raging for over a decade. “It’s not just a case of talking or drawing up treaties, it is really cooperation between two friendly neighbors and we want to continue that friendship,” Mahathir said. Don Pathan, a security analyst based in southern Thailand, said Malaysia has to be part of the dialogue because it has a stake in the border violence and most residents in the region identify as Malay Muslims. Thailand is predominantly Buddhist. But time is running out for both Mahathir and Thai Prime Minister Prayuth Chan-ocha to reach a breakthrough in the negotiations with the rebels, Don said. Mahathir is expected to hand over power to his designated successor, Anwar Ibrahim, in less than two years, and Prayuth’s military-led government has promised to hold elections early next year. “And this wave of conflict has been going on for the past 14 years. What can they do in 18 months?” Don said, referring to Mahathir’s remaining time in office. Thailand and Malaysia have each named their own facilitators for the talks who are both high-ranking security officials, but Don said both men are political appointees who will be relieved once their governments undergo administrative changes. Mahathir is to meet with the president of Thailand’s privy council and with businesspeople and Malaysian expats on Thursday.